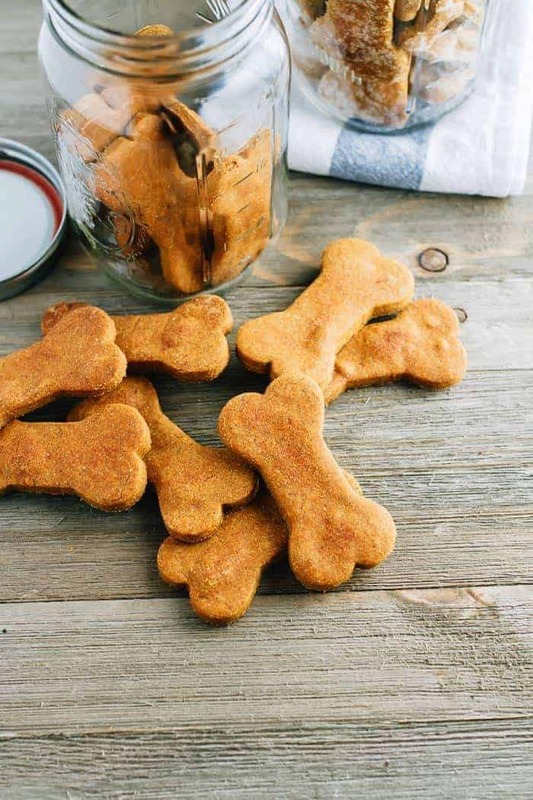 Dog’s take to pumpkin dog treats really fast so this recipe should not be a problem for your pooch. However, if he still insists on being picky, then throw in some peanut butter and Bullyade flavors. That should be incentive enough. 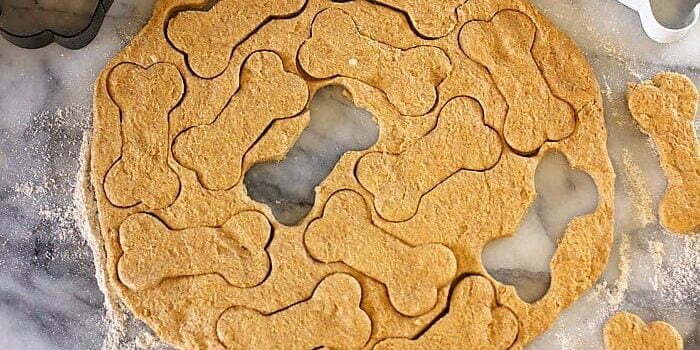 Pumpkin dog treats packs lots of fiber that directly benefits your pup’s digestive health. In fact, if your pup ever suffers from indigestion, constipation, or diarrhea, just give him some pumpkin. Moreover, pumpkin can help quieten an upset tummy, and your pup must have figured this out by now. Pumpkin seeds contain antioxidants and fatty acids that help dogs maintain healthy skin and fur coat. Also, the oils squeezed from fresh pumpkin seeds directly support urinary health. Pumpkin seeds contain minerals such as potassium, beta-carotene, iron, and Vitamin A. All these nutrients combined help protect the integrity of your dog’s DNA and prevent the chance of cancer cells forming. Want your dog to lose some of that belly fat? Easy, just put him on a regular pumpkin diet. As opposed to meat, pumpkin carries the essentials fats and oils the body needs to stay healthy without getting fat. Pumpkin makes your tummy feel full too so it will have the same effect on your dog. With that said, here is a quick pumpkin treat recipe to try out at home. Ensure you only use organic raw or cooked pumpkin. Sweetened pumpkin does not carry the same health benefits. 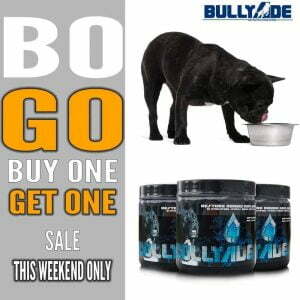 Put some water in a cup then add the two scoops of Bullyade to dissolve. Now add the flour little by little and knead into a workable dough. A workable dough should be stiff and dry. Test this by poking a finger through the dough. If the finger comes out clean, the dough is ready for rolling and cutting. Place the tray in the oven and bake for about 40 minutes. The cookies will be ready when they harden and have golden-brown color. Test the results by letting Bingo gobble one cookie. If he wags his tail for more, then he just gave your tasty creation two paws up!